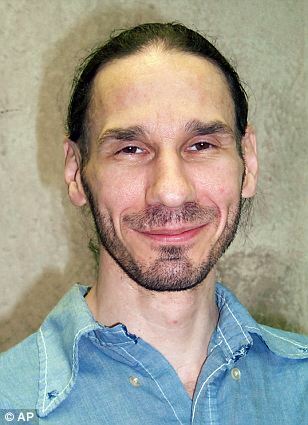 Rodney Scott Berget was executed by the state of South Dakota on Monday, October 29, 2018. He was pronounced dead at 7:37 pm CDT, at the South Dakota State Penitentiary in Sioux Falls, South Dakota. His execution was delayed several hours due to appeals. Rodney was 55 years of age. He was executed for the murder of 63-year-old correctional officer Ronald Johnson on April 12, 2011, at the South Dakota State Penitentiary. Rodney has spent the last six years on South Dakota’s death row. Rodney grew up in a poverty-ridden home in South Dakota and had four other siblings. Rodney’s father failed as a farmer before going to work for the state highway department. His mother was a bar manager at a local Holiday Inn. Allegedly Rodney’s father was an alcoholic and physically abusive when he was home. Rodney’s parent’s eventually divorced and Rodney, and his brother Roger, began getting into trouble. As a teenager, Rodney spent time in prison. At the age of 25, Rodney was serving time for grand theft, when he participated in an escape attempt. He was capture one month later. In 2003, Rodney was arrested and convicted of kidnapping and attempted murder. Rodney was given an 80-year sentence. Rodney’s older brother, Roger, was executed in 2000, for a 1987, car-jacking and murder in Oklahoma. While serving his time for kidnapping and attempted robbery, Rodney Berget met fellow inmate Eric Robert. Together the two men made a plan to escape or die trying. A third inmate supplied them with the necessary equipment. On April 12, 2011, Berget and Robert were prepared to enact their plan. Correctional officer Ronald Johnson had agreed to take over a shift for a coworker. It was his 63rd birthday. In order for their plan to work, Berget and Robert needed the uniform of an officer. The duo entered Pheasantland Industries, a prison industry business within the walls of the penitentiary, and using a pipe, beat Ronald with the intention of “ending his life.” After beating Ronald with the pipe, they wrapped his head in plastic wrap. Robert then dressed in the uniform, while Berget hid in a box placed on a cart. They attempted to exit through the west gate. Other guards became suspicious when they noticed that Robert did not swipe his identification badge. Robert attempted to talk his way out, but was unsuccessful. A search of the premises revealed the body of Officer Johnson. Lifesaving measures were attempted, but failed. Rodney Berget and Eric Robert were each tried, convicted, and sentenced to death. The third inmate who provided them with the pipe, was sentenced to life in prison. Eric was executed in 2012. Rodney was previously given a 2015 execution date. That execution was stayed. Since then, Rodney has requested that his appeals be dropped and his execution allowed to proceed. Rodney’s attorney did not agree with the request and sought to have his client’s mental capacity evaluated. In February 2018, a judge ruled that Rodney did not have any intellectual disables and was eligible for execution. Please pray for peace and healing for the family of Ronald Johnson. Please pray for strength for the family of Rodney.